My daughter is an ambitious professional whose priority is family.  She has been in US for more than 6 years now and has master's degree and employed in finance sector as a business analyst; currently based in Kentuky, USA.Her Father is Civil Engineer, mother is Home maker and she has a younger brother. Name Visible on Login is a determined, responsible, family oriented, fun loving, caring and humble person. She loves to travel, nature and music.If you like our daughter's profile and would like to know more about her then please leave us a message. She has an upper middle class family background with liberal values. Her father is a businessman while her mother is a homemaker. She has 1 brother.